The first Sainsbury's draw of the new year has taken place. 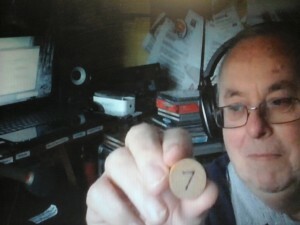 Live on air on Sunday afternoon, Paul Le Feuvre picked number 7 out of the bag of balls, which belonged to Heather, a patient who had had a request the day before. Heather won a Sainsbury's goody bag thanks to Sainsbury's at Liphook.